The bathroom is usually a space that often gets neglected. And that is a shame, as it offers many opportunities for creating a functional, yet stylish space! 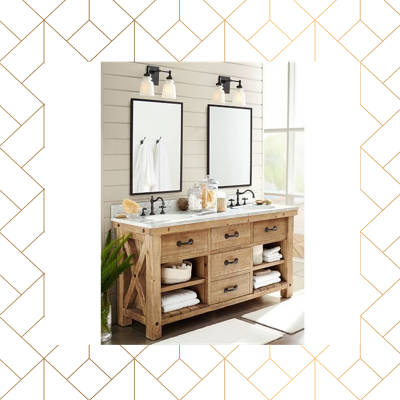 At In Domo in order to accommodate various tastes, our bathroom furniture come in a variety of designs and styles, from French-style to Vintage and rustic to contemporary and industrial! And, they can all be customized to your own dimensions and styled to your liking! Start browsing through our pages to find the designs that speak to you and your home! The bathroom is usually a space that often gets neglected. And that is a shame, as it offers many opportunities for creating a functional, yet stylish space!